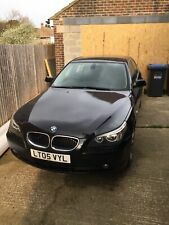 2012 (62)BMW 520D 2.0 SE STEP S/S AUTOMATIC. Being the "SE" edition. Its equipped with loads of optional extras including Usually wear will be seen across the seats (particular the driver’s seat pillar) and door trims. BMW X5 lci m sport. Logbook available. Sale includes headlight, wing, bumper and radidtor. For sale is my BMW 530d Msport touring. It's MOT was done last week and passed without and advisories. The car is just about to hit 110k which is nothing for these cars / engines and good mileage for its age. Here’s my BMW 525d Auto, the car does drive but hasn’t been mot’d. There is full BMW service history up to 170,000 that is recorded with them. Long MOT until 03/2020. BMW E46 330D Msport. The car was kept it clean always, as a result the arches show no signs of rust like most of the E46 you see for sale. It’s a very clean and tidy example, but it is also a 15 year old car so bear that in mind, there’s a few marks or dints here and there but the car is a very clean example. BMW 120d Automatic, Blue Quartz colour, Full bleu leather seats, electric windows, power steering, cd player, remote central locking, 2 keys, part service history. 2008 BMW 520D 2.0 M-SPORT TOURING AUTO IN GREY. MOT Until: 26th April 2020. By now you now understand this item is going to require further money to be spent on it due to its age, mileage and price paid. On sale BMW 5 series 2.5D. Automatic gearbox. Drives without any problems. Age related Marks nothing major. 2003 BMW E39 530D M Sport Aegean Blue Limited Edition (1 OF ONLY 150). 18” M Paralell Alloys With Good Tyres All Round. Headlight washers and windscreen washers need replacing. Front and Rear sensors needs replacing. (This really is a head turner. Here for sale is my much loved Bmw 335d d just don’t get used. Auto transmission with sport mode and flappy paddle manual option ). Last advisory’s were oil leak (rocker cover)and tyres these have both bean done since. I bought it and it needed a driveshaft bearing and had a cracked wheel. Both of these issues have been fixed now. Full black leather interior, no cracks etc. 330d 3.0 Diesel Automatic Rough round the edges but probably the cheapest 330d on the market. Boot opens by the button on the key - solinoid has gone on the actual boot button. Bluetooth hands free added. Xenon headlights. MOT until 18th July 2019. Great looking car. MOT Until: 29th August 2019. 2009 BMW X3 2.0D 177 M-SPORT AUTO IN BLACK. This a lovely 2009 example add this Blue BMW 2.0D 177 M-Sport X3 to your watch basket now! BMW 2.0 Litre 177BHP Diesel M-Sport engine. Just had new mot with 2 advisories which were rear tyres so i have just replaced them and they weren't cheap but worth doing. The black leather seats are in stunning condition and are all electric and heated including the rear seats but only the rear headrests are electric as the seats are just one position, All the electrics work in the car including the multi function steering wheel. 2013 BMW X6 3.0 X DRIVE 30D DIESEL AUTO PADDLE SHIFT. AUTOMATIC WITH PADDLE SHIFT GEARS. FRONT AND REAR PARKING SENSORS. THIS CAR LOOKS AND DRIVES AMAZING. 44k MILES WITH FULL BMW SERVICE HISTORY. ELECTRIC POWER FOLD MIRRORS. BMW X5 for sale. Original number plate is now back on cp56 Ocb. Bluetooth phone connection. Mot until November. Front and rear parking censors. 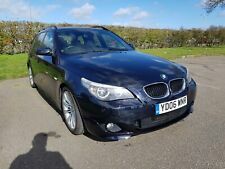 BMW 320d touring auto. Location oxford/abingdon. alloys powder coated last year. recent professional valet. new rear brakes and pads. 12months mot. full service history. Plenty of miles (183k) but drives really well and in overall good condition with a few age related marks here and there which have been taken into account when considering this low price for this still sought after Le Mans Sport Edition X5. Outside of the car is in great condition for its age and inside is in perfect condition, full leather heated seats. 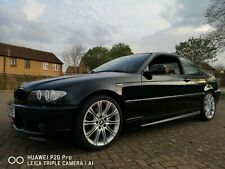 BMW 325 D M Sport, Automatic Fantastic Car, Reg No FV07 ZDN, Fully Hpi Clear, no accidents.